This piece of paradise on Sand Key is priced to sell! Magnificent Gulf Of Mexico views from all rooms. Building 1480 is the newest building of the 4 buildings within this resort style complex. South Beach 1480 building is a 24/7 guard gated community featuring an abundance of outdoor amenities which include a heated pool, large Tiki pavilion (along with smaller beachside Tikis for individual enjoyment), an outdoor grilling area, and plenty of green area with beautiful landscaping. Convenient under building storage room for your beach belongings. One covered parking space and plenty of guest parking. Inside the building is a clubhouse with kitchen facilities for group entertaining. This 2 bdrm, 2 bath home has a spacious balcony which you can access from the main living area along with the 2 bedrooms. Updated kitchen has granite countertops with stainless steel appliances. Bathrooms are also updated. New washer and dryer, AC 2018, new roof on building in 2018 (assessment will be paid by the seller at closing), newer water heater. 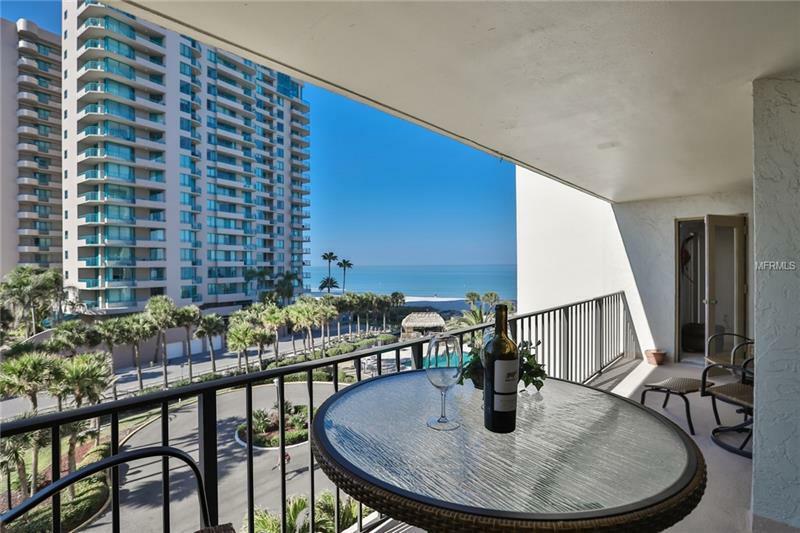 Enjoy your toes in the sand as you stroll on the beach or enjoy sitting on your southern exposed balcony and enjoy the beautiful sunsets with your drink of choice in hand. Close to Clearwater Beach for all of the happening events, an abundance of restaurants, shopping, etc., or stay closer to home and visit the quaint âShoppes on Sand Keyâ Plaza just minutes away. Close to Tampa airport. This is a pet-friendly complexâ¦..so donât forget to pack Totoâs stuff also!